A multi-stakeholder initiative – with youth at its core – seeking to test new approaches to common challenges facing the AU & EU. 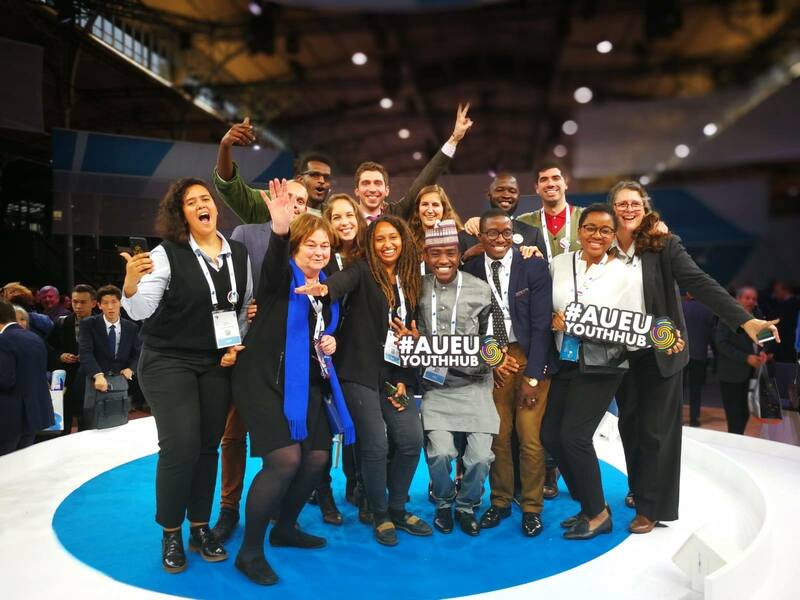 The AU-EU Youth Cooperation Hub was selected by the Paris Peace Forum, out of 119 other projects, as one of the top 10 governance initiatives. This nomination will enable the Hub to benefit from expertise, visibility and financial help from the organisers of the Paris Peace Forum for the coming year. These 42 Young Experts are the core drivers of the Hub; they will contribute to defining the scope of pilot projects, to be implemented by civil society organisations, and monitor their implementation. Have the potential of being scalable after the pilot phase, should they prove successful. In Africa, the very high percentage of unemployed youth or young working poor is directly relevant to the priority of SDG1 (“End poverty in all its forms everywhere“). In the EU, the multiplication of precarious jobs and non-standard forms of contracts and high levels of unemployment have long-term consequences for the earning potential of youth and their future opportunities, ultimately inhibiting economic innovation and jeopardising the achievement of (“Promote sustained, inclusive and sustainable economic growth, full and productive employment and decent work for all”). The role of the private sector in generating jobs is key. But in order to attract responsible domestic and foreign investments, stable and open financial systems, an enabling investment climate and proactive job creation policies are required. At the same time, it is crucial to ensure that social protection systems are adequate and adapted to new forms of work. 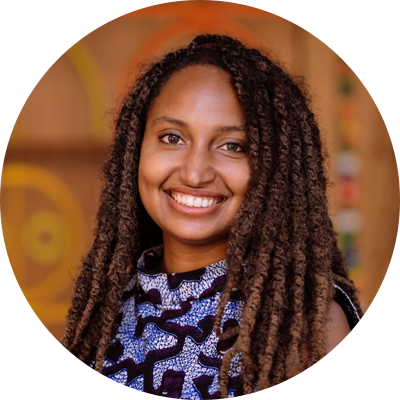 Khadijat holds a double Master’s degree; one from the US and the other from Solvay Business School of Belgium in Commercial (Business) engineering and a Bachelor Degree in Anthropology and Political Science. 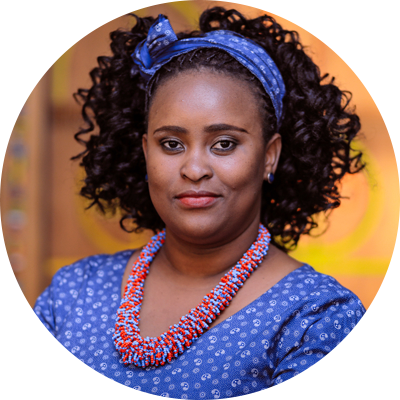 She is the founder of Digital African Woman (DAW), a social enterprise that supports women-led businesses across Africa and the diaspora through active digital training and business engineering. Through DAW, she triggered the launch of 70 successful start-ups across Europe and Africa. As a result of her engagement for the diaspora community in Europe, she is an active member of the African Diaspora Network in Europe – ADNE. Elena holds a Bachelor Degree in Social Sciences and Economics and a Master in International Economic Policy, both from Science Po Paris. 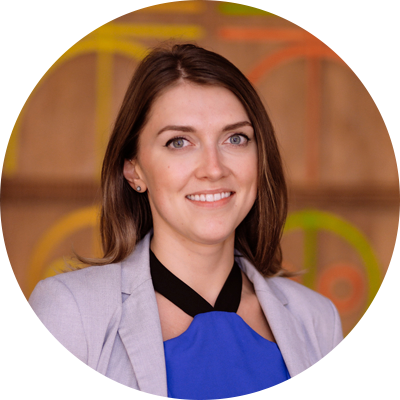 After working at the EU Delegation in Senegal on the Economic Partnership Agreement, she joined a market intelligence firm working across Africa. She has volunteered on women rights, alphabetization of migrants and childcare. She is currently working as an impact measurement consultant for several businesses across Africa and India. Yorick is a specialist in sustainable food systems, agri and food value chains, and agri-businesses. 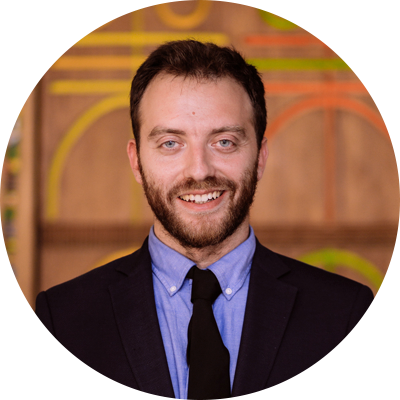 He holds a Bachelor in Gastronomic Sciences from the University of Pollenzo, Italy, and a Master of Science in Food Policy from City University in London, where he presented two dissertations addressing economic exploitation and development as well as inequality in global value chains. For three years he has been engaged as an advisory board member of two organisations in Italy and the UK, with the goal to improve knowledge and understanding of food systems. Since 2016, Yorick has worked at Agriterra as a business advisor for farmer organisations across Eastern Africa and South Asia. 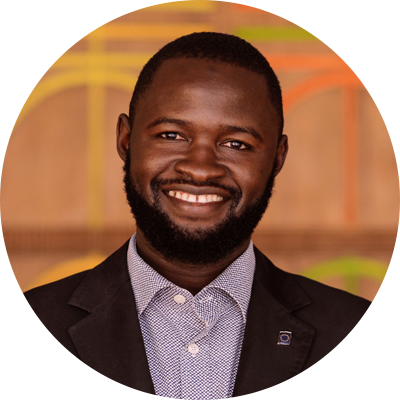 He recently co-founded the social enterprise Wakuli with the aim of utilizing technology to connect farmers with consumers, thus addressing inequalities in global soft commodity supply chains. Aba holds a Bachelor in Agriculture and a Master of Philosophy in Agricultural Administration from the University of Ghana. She has developed a career in food security, livelihood support and diversification and entrepreneurship activities. She is the Country Manager at AAIN and Operations Manager of an incubator since 2014. Her work has impacted over 5,000 entrepreneurs and youth, provided investment support, provided mentorship and facilitated market linkages and business networking for entrepreneurs, by incubating women and youth start-ups and developing public-private partnerships, with a focus in the agribusiness sector. Alieu holds a Bachelor in Economics from the University of Gambia and Certificate in Business and Entrepreneurship from Northwestern University. He founded the Startup Incubator Gambia through which he incubated 62 young enterprises, accelerated 26 agribusiness enterprises thus contributing to create over 300 jobs in fashion, online services and agriculture. He is also the founder of Young Entrepreneurs Association and a board member of the ITC Youth Empowerment Project. Daniel is holder of a Master in Marketing Development and a Master in Agricultural Development. 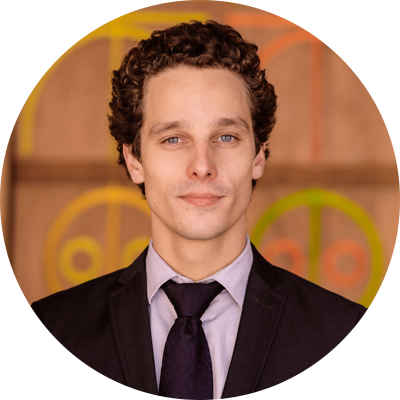 Daniel is CEO of the start-up "Grainotèque", a social and solidarity company specialized in services and tools in organic farming. In recognition of his achievements, he was selected as Ashoka Change Maker and was awarded the Orange Entrepreneurship Award 2018 and the "Pierre Castel Prize", endowed with the Pierre Castel Bordeaux Africa Endowment Fund. Jordan holds a Bachelor Degree in Health Science and a Master in Management of Innovation and Technology. After working in the private banking sector for 3 years, he founded tastePal, a pre-ordering App for the office catering sector, with the social mission to eradicate hunger in South Africa through meal contribution to NGOs. The App has partnered with FoodForward SA to strive towards the first two of the UN’s Sustainable Development Goals. The App received multiple recognitions and nominations at international summits and competitions concerning innovative and tech startups. Culture, arts, sports and inter-cultural dialogue can foster understanding among citizens and states. They can therefore contribute to address major global challenges – such as conflict prevention and resolution, integration of refugees, prevention of violent extremism, and protection of cultural heritage. The culture sector is also increasingly a source of job creation, contributing to growth, and an excellent conduit for promoting social inclusion. The 2030 Agenda marks a substantial step forward for culture as it is the first time that the global development framework refers to culture in relation to several SDGs (education, sustainable cities, food security, the environment, economic growth, sustainable consumption and production patterns, peaceful and inclusive societies). Ebenezer holds a Bachelor of Arts in English and Literary Studies. He is a poet and an essayist. He is editor-in-chief at 20.35 Africa, an anthology of contemporary poetry featuring young (resident and diaspora) African poets. He is also poetry editor at 14, a collective of young Nigerian artists that publishes queer art. 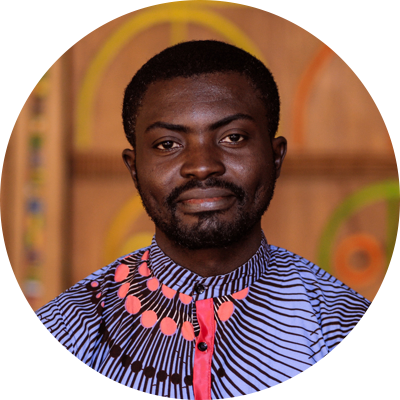 He has also contributed reviews and interviews to Brittle Paper, Africa's foremost arts and culture online platform, and has also worked as a copy-editor for some book publications. Sandy holds a Master in Multimedia Strategy. Her employment experience is mainly focused on democratization and easy access to sports and eco-citizenship. In 2016 she founded a community-based collective of surfers and skateboarders, which engages in eco-citizenship activities. She has a total of 10 years of experience in sports within the private sector. Aude holds a Bachelor in Social Development and two Masters in Cooperation, International Solidarity and Social Economy. Furthermore, she followed trainings on volunteering, global citizenship, sustainable development. 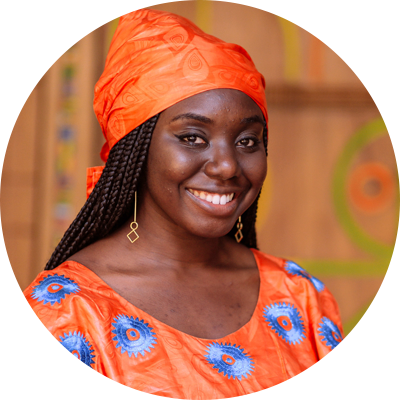 Since 2009, her work experience has been mainly in France and Senegal on projects to support youth initiatives and focused on education and culture. For the past five years she has been a board member of an association that promotes African culture in France. She also co-founded a French-based association to support and accompany project leaders, which is currently supporting projects in music, circus, and dance. Clemence holds a Bachelor Degree in Art and languages, with a major in Education, English and Art. She is an experienced theater play writer/director and actor. Since 2017 she had contributed to writing, acting and directing radio dramas, sketches and stage performances in schools, colleges, organizations as well as in the communities. 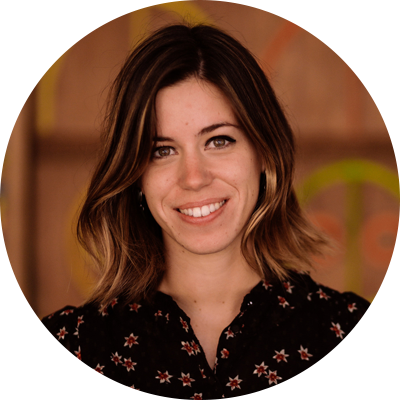 She works as a scriptwriter since 2015 at La Benevolencija, a Dutch NGO focused on unity and reconciliation, peace building and art. 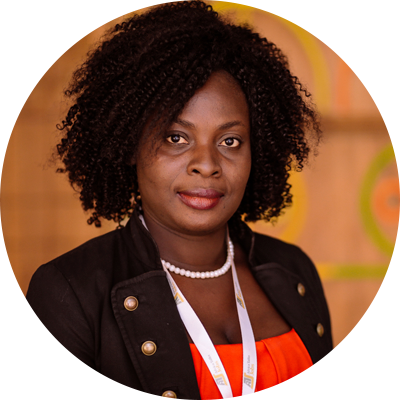 She has worked from 2009 to 2014 as a translator in the “African initiative for mankind progress” organization. 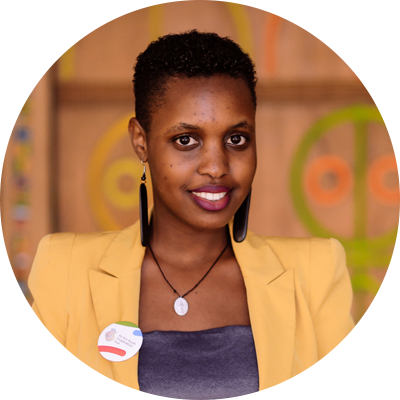 She also worked at Girls Effect Rwanda, as a script writer for a Rwandan youth radio drama 'Ninyampinga sakwe. 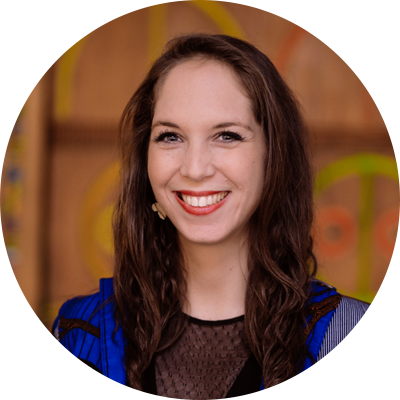 In 2014, she co-founded the One Vision Computer Training Center focusing on helping Rwandan youth to have access to technology. In 2016, she founded a women's rights local association Mawe Foundation. 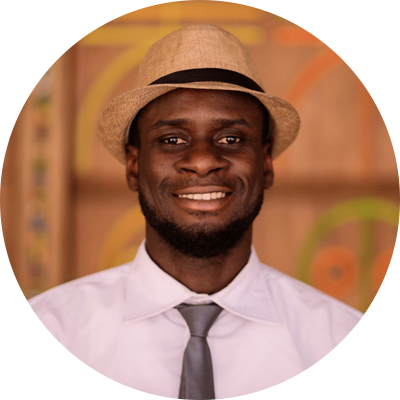 Romuald holds a Bachelor in Performing Arts and Cinema, a Master in Cinema and Theatre critique and is currently a PhD student in Arts and Cinema, his dissertation focusing a dissertation on educational films and TV series in Cameroon. His experience is focused on the use of cinema and performing arts as a means of education and social change. Since 2013, he is the Executive Director and Communication Manager of the People's Theatre and Cinema for Social Change. From 2017 to 2018 he was the project manager for youth and envoy for cultural activities for the Alliance Française de Roumanie. He realised +20 ateliers with +230 participants on basic techniques for video production. Furthermore, he is a part-time university lecturer since 2015, teaching theatre education for development and cinema for social activism. 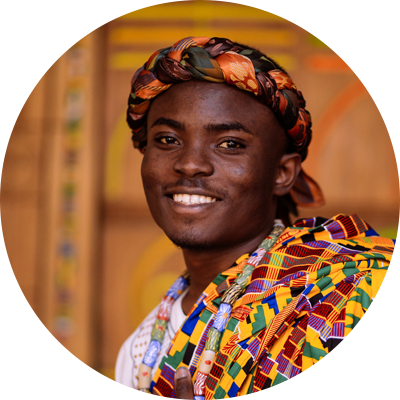 He has facilitated 2 Theatre for Development Workshops held in Cameroon and directed 3 short films. 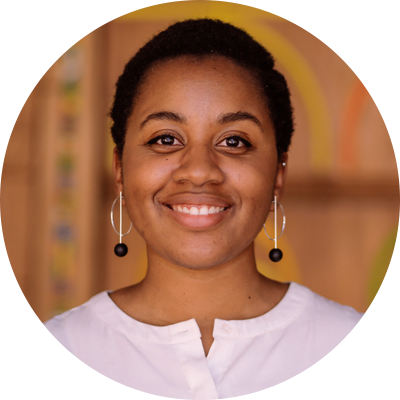 Hatoumata is a Sciences Po Paris graduate and has six years of work experience in the fields of private sector development in Africa, embracing the areas of impact investing, start-ups incubation and digitalization. 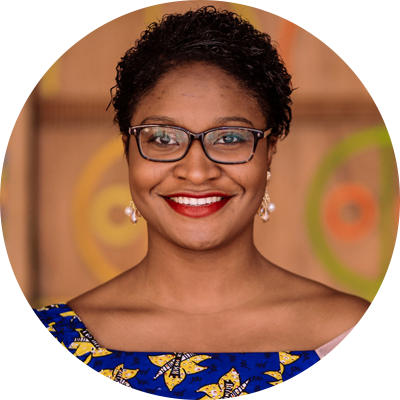 She is the Manager of the AFIDBA program, aimed at financing and developing African start-ups that have social and digital components at Bond'innov and is the founder and President of an NGO dedicated to youth empowerment and innovative education. Daphne holds a Master of Science in International Development Studies. Over the course of her studies she interned and worked for several (international) governmental institutions in both Europe and Africa. In her spare time, Daphne also volunteered for three years (as a coach) using sports as an educational tool for marginalized youth. 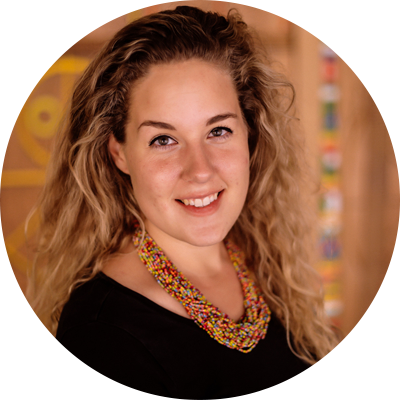 She recently founded a jewelry company through which she fuses Ghanaian beads with Dutch designs to symbolize intercultural dialogue. She currently works as a Consultant for Innovation and Organizational Change at the Dutch Ministry of Foreign Affairs. As a natural project leader, Daphne translates out-of-the box ideas into practical actions, often by creating visualizations and workable mock-ups for the solution. As William Plomer wrote, “Creativity is the power to connect the seemingly unconnected.” Daphne integrates this idea in all her adventures. Education and skills are vital to enable young people to become active citizens and to provide them with opportunities. Sustainable investment in education and the promotion of lifelong learning is the best protection against poverty and to foster the acquisition of the necessary competences to be an active and independent citizens. Under the 2030 Agenda for Sustainable Development, States have committed to SDG4: “Ensure inclusive and equitable quality education and promote lifelong learning opportunities for all”. Audrey holds a dual Bachelor in Political Science and a Master in International Affairs. Following a short experience at the EU Delegation in Eritrea, she worked for 2 years as the Education and Vocational Training Programme Coordinator at Total in Uganda. After working in the higher education sector, where she was in charge of Master and dual degree programs, she joined in 2017 the World Innovation Summit for Education (WISE) as Head of Programs. In her current position, she aims to foster new approaches in education and to build the future of education through collaboration. 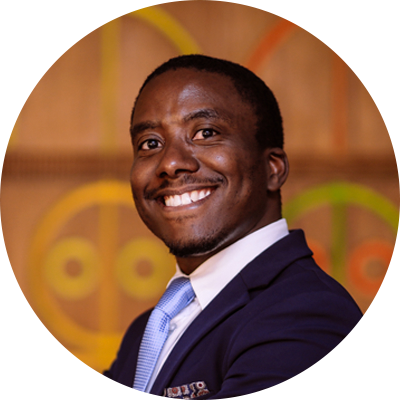 Lusanda is an admitted Attorney who holds a Master in Commercial Law. She is the founder of Dream Factory Foundation that seeks to empower youth-at-risk through educational programmes that train participants to transition successfully into adulthood and contribute back to society through their dreams and aspirations. In 2015 she spearheaded a social enterprise which was awarded the Google Rise Award and listed in the 2017 Social Enablers "100 most inspiring Social Entrepreneurs worldwide". As a CIVICUS member, Lusanda was selected to represent the voice of youth-led and grassroots NGOs that seek to have greater access to the EU partnership process at the 2018 EU Partnership Forum. She is also a Global Shaper and Facebook Community Leader Fellow. Marilena holds a Bachelor in Management & Business Administration and a Msc in International Marketing. From 2013 to 2018 she worked on European projects at the University of Piraeus in diverse capacities, collaborating with the EU Representation in Greece and the European Parliament Information Office. She is the co-founder of an educational project that was implemented in 7 African countries, entitled WE AfriHug, aiming at empowering African youth with skills needed for the 21st Century and raising awareness about study opportunities through Erasmus +. Thousands of students and academic staff were reached in universities and secondary schools across 7 countries throughout 7 months and synergies have been created between African and Greek universities. Shimmaa holds a Bachelor in Science with a major in Biology. 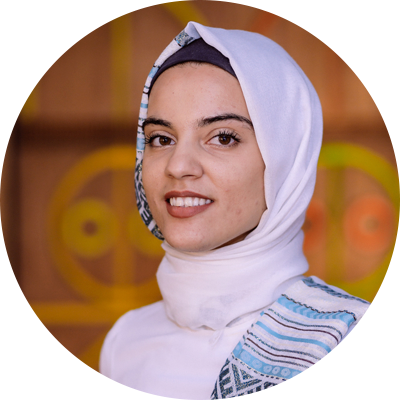 Since 2012, she has volunteered and worked to mainstream and facilitate science and STEAM education through non-formal education and mentorship across Egypt and Africa. In the following years, she has been committed to promote access to college and volunteerism. 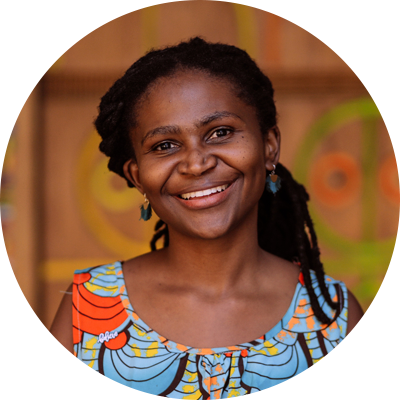 In 2014 she founded a non-formal education social enterprise called Olomangy that aims at encouraging 3 to 14 year-old students as well as teachers to practice STEAM education. 7500 individuals were reached in four years. After being selected as an African Union youth volunteer in 2016, she started working in a research center for STEM in Africa, based in Kenya. 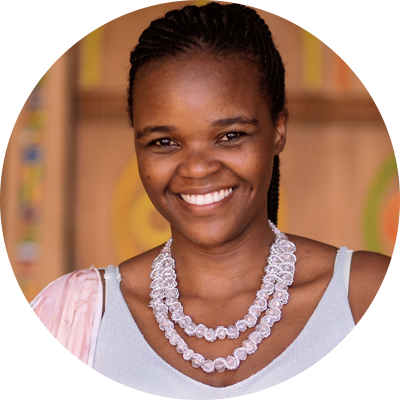 Recently, her social enterprise has been chosen as one of the top 50 education innovators in Africa. Mounchili holds a Master in Economics and Social History. In 2014 he founded a community-based youth organisation with the goal to invest in rural youth. He gained his work and volunteer experience working in various NGOs, CSOs, institutions and UN agencies in Africa, with a focus on peacebuilding, religious pluralism, democratic governance and politics and gender. He also worked as a geography and citizenship teacher at a local high school for three years. Ademulegun holds a Bachelor in Engineering, a diploma in Data Journalism and an executive certificate in Social Sector Management. From 2014 – 2016, he served as the curator of opportunitiesforyouths.com, an online community that connects young people with education and development opportunities. Since 2016 he has served as project team member of ReadysetWork, an initiative by Lagos’ State Government. 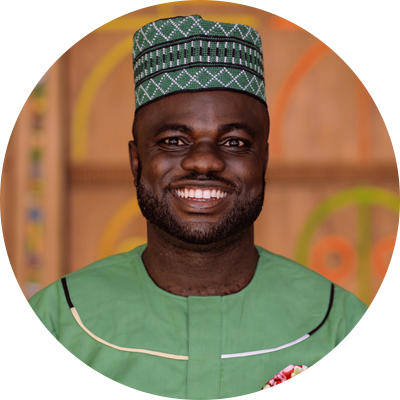 As the Community Affairs Manager at Microsoft Nigeria, he was responsible for implementing youth employment and digital skills development. 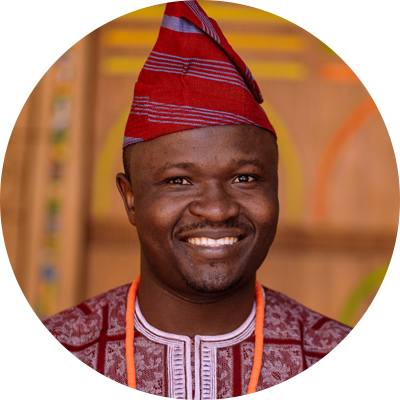 At part of the Microsoft Philanthropy team in Nigeria, he supervised the training of +25.000 youth. He served as Project Lead of CodeLagos in 2017, an initiative sponsored by the Lagos State Ministry of Education. He supervised the expansion of the program to +300 coding centres and over 40,000 beneficiaries. 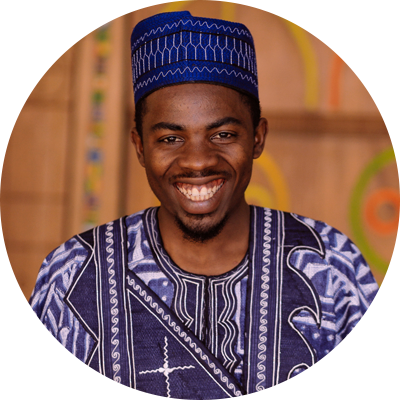 In 2018 he became Country Director of CodeTutor.com.ng, focusing on implementing computer science programs in Nigeria. Safi holds a degree in Public Relations majoring in Peace and Development studies. Her expertise is focused on international education and youth mobility, and capacity building of youth. 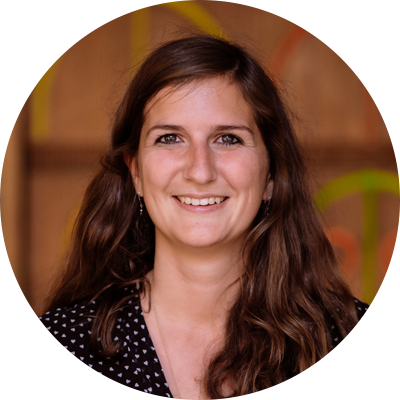 Safi’s experience comes from working for 7 years with the European-wide networks Erasmus Student Network, Eurodesk and Erasmus+ Student and Alumni Association. Through her engagement she has worked with the European Union, the Council of Europe and several international NGOs. She has coordinated international activities and research projects, liaised for advocacy processes and facilitated cross-sectorial cooperation. As former President of the Erasmus Student Network, she has lead a network of 15.000 volunteers in 40 countries. Climate change is affecting every country on every continent. People around the world are experiencing the significant impacts of climate change, including changing weather patterns, rising sea level, and more extreme weather events. Climate change finds its origins in human activities and in greenhouse gas emissions. Without action, the world’s average surface temperature is projected to continue rising and to surpass 3°C this century. Therefore, SDG13 urges to “Take urgent action to combat climate change and its impacts”. The poorest and most vulnerable people are most affected by the impacts of climate change. Outbreaks of infectious diseases and famines highlight the effects and inter-linkages of insecurity, climate change, and food and water shortages. These challenges have led to unprecedented levels of forced displacements in Africa. Biao holds a Master of Engineering, Water and Forests with an elective in Natural Resources Ecology and Management. He boasts a broad experience in environment engineering, geographic information systems, rural development, green economy and human rights. 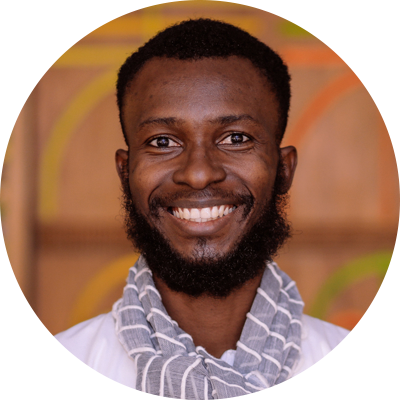 He recently founded the “Climate Innovation Laboratory Togo” (CIL TOGO), which focuses on green innovation (eco-entrepreneurship) support through capacity building, consulting services and networking and events and forums. Anais holds a Bachelor in Applied Foreign Languages and a Master in Management. 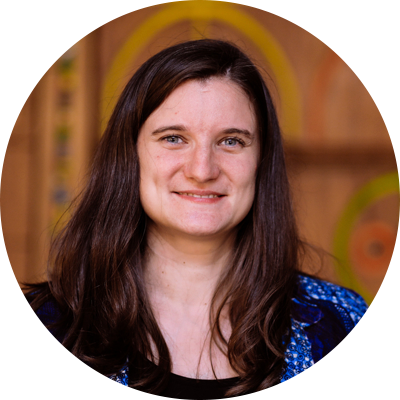 She has developed a vast experience on social and solidarity economy and solar energy. She currently serves as the Regional Coordinator Africa for a civil society organisation, where she is responsible for the construction and implementation of two vocational training centers in solar energy, for illiterate or semi-literate rural women. Antonette holds a Bachelor in Crop Science and Production at the University of Agriculture and Natural Resources and a Master in Business Administration and Management. Antonette is an experienced agronomist and an Open Source Leader of the Commonwealth100 through the Common Purpose Initiative. She has a profound knowledge and experience in related topics such as agricultural advisory, food security, agribusiness, climate smart agricultural approaches, transformational resilience thinking techniques and agricultural advocacy. Yonas holds a Master in Management. 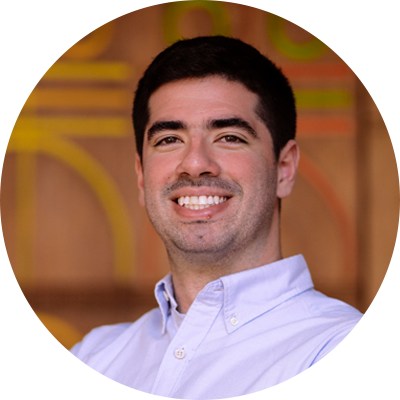 He has seven years of working experience in sustainable investment, consulting and impact evaluation. He has almost five years of experience in a senior management position, overseeing consulting and research projects in various fields such as migration, education, private sector development and sustainability. Komi founded a start-up at the age of 17 and he is the founder and leader of a youth platform (Ecolotrip) on climate change. For three years, he has been responsible for project development and management in a local startup, with a goal was to provide local, namely rural, population with biogas and electricity produced from manure. He gained a Bachelor in Mines and Environment in Niger and a specialization in Engineering, with a major in electronuclear installations at the College of High Level studies in Caen, France. Varpu holds a MsC in Environmental Studies with a minor in Development studies. Her employment and volunteering history encompasses several areas, ranging from WASH, waste management, smart cities, ecology, energy, ethical trade and adult education. Varpu grew her experience throughout Europe, Africa and East Asia. She has worked as the Product Manager on energy and eco efficiency services in an international facility services company for the past two years. Governance, development and security are closely interlinked. Resilient societies, with accountable, democratic and transparent institutions in which human rights are respected, are much more likely to enjoy sustainable development and stability. Inclusive participation of citizens in public decision making and, in particular, the involvement of youth and women in formal political processes can increase trust in state institutions. Strong, transparent and efficient institutions are key in areas such as public finance management, the fight against corruption and fraud or domestic revenue mobilisation, a prerequisite for the state being able to deliver, which is often undermined by Illicit Financial Flows. This situation is meant to be addressed under SDG16, which is dedicated to the provision of access to justice for all, and to building effective, accountable institutions at all levels (“Promote peaceful and inclusive societies for sustainable development, provide access to justice for all and build effective, accountable and inclusive institutions at all levels”). 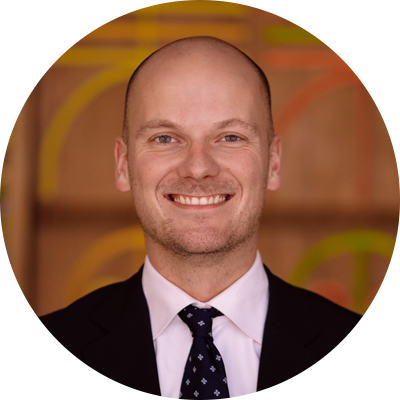 Martin is a lawyer with experience in working with the Ministry of Economy and Finances in Djibouti. His expertise embraces technical assistance contract management, public private partnerships as well as legal capacity building. Ismaeel's passion lies in developing innovative, inclusive and accountable communities to build a better world. 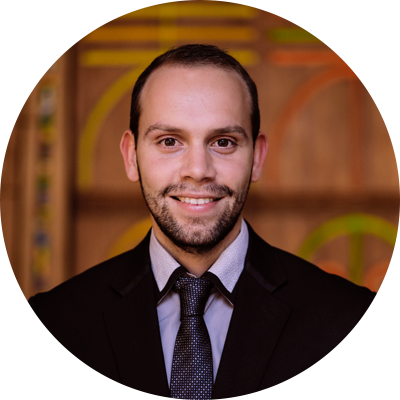 He is currently a PhD candidate in Economics in Paris, as well as a Business Development & Innovation Manager at Nile Capital Egypt. Ismaeel's diverse set of professional experiences include stints in government, startups and Fortune 500 companies. Most recently in 2017, Ismaeel served as Dr. Hisham ElSherif's Assistant Minister for Local Development in Egypt, where he led the economic team in the planning and first phase implementation of the World Bank's 500 million-dollar Upper Egypt Local Economic Development Program. In 2016, he worked as a growth marketer for Egypt's fastest growing startup, the YC backed Instabug. Prior to that, Ismaeel worked as a Financial Services Consultant for IBM Global Business Services in Paris, France. Ismaeel also has a diverse academic background. Prior to his PhD, Ismaeel earned 3 Master Degrees; 1) a Master in Business Decision Engineering from EPF-Ecole d'Ingénieurs in Paris, 2) a Master in Economics & Management of the Digital Economy & Network Industries from Paris Saclay University and 3) a Master in Economics with a specialization in Financial Economics from Ecole Polytechnique & HEC Paris. 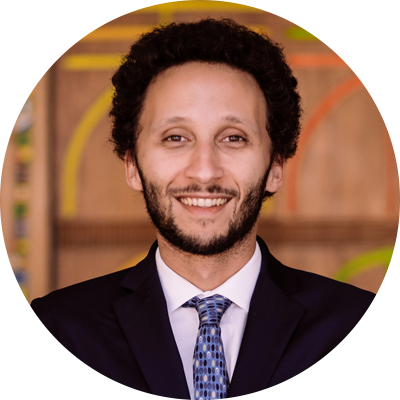 As an undergraduate at the American University in Cairo, Ismaeel double majored in Construction Engineering & Economics. 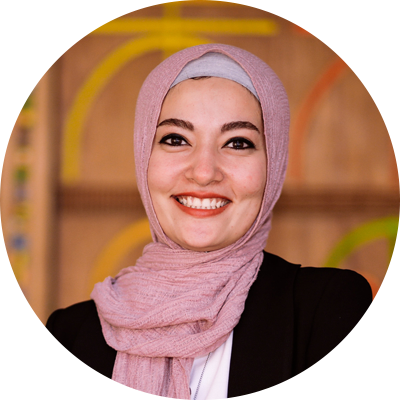 Ismaeel has always been involved in developmental initiatives including being co-founder and president of Junior Enterprise Egypt, a student-led organization promoting entrepreneurship and providing affordable consultancy services to SMEs. Inge holds a Master in Security Studies from UCL. She currently works for ACTED in South Sudan, where she is responsible for ensuring the organisation’s transparency and compliance policy. She leads a capacity building project aimed at local NGOs. Among her previous experiences, she worked at the UN Joint Inspection Unit in Geneva as well as with an Estonian NGO on a project focused on increasing youth awareness and involvement in policy and diplomacy. A dynamic and accomplished communication specialist by profession and youth development expert, Benjamin brings to the AU-EU Youth Cooperation Hub over ten years experience in the international development sector, successfully implementing communications & advocacy strategies as well as youth development projects for governments, civil society and UN agencies. He has been actively involved in shaping policy and practice through youth-led accountability models that engage young people and policy makers. He was equally instrumental in the review of the national youth policy in Zambia as well as serving on the board of the National Youth Development Council as an adviser to the Minister of Youth. 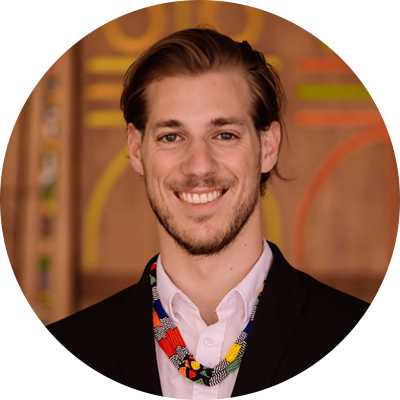 Benjamin uses his communication skills and experience to advocate for greater youth participation in governance at national, regional and international platforms. At 17, Esther was named Uganda's Ambassador for Women and Girls. She donated her university tuition and started a community health facility supporting child mothers. She owns a popular reality television show on teenage pregnancy called “Saving Innocence Challenge” applauded by the EU in Uganda as one of the best self-sustaining girl-lead models in the world, championed as well as financed by local girls for local girls. Amidst the world's refugee crisis, she is championing “Lift up her Voice” Expedition where girls from selected universities around the world innovate for a decent life for refugee women and girls in a Global Girls Movement. She has won 5 National Awards and a Geneva Women's World Summit Prize. Esther’s passion is to give migration a human face. Mildred is a self-proclaimed Youth Futurist who believes that the potential and success of Africa lies within its young people. She has a vast experience in championing innovative youth engagement strategies, conducting advocacy and driving policy and legislative interventions. Her work on the #DearPolitician campaign resulted in more than 7.5million youth getting involved in setting young people’s election agenda. She has also been involved in building the capacities of women to run for office while focusing on issue-based politics and encouraged youth to support the candidacy of women. 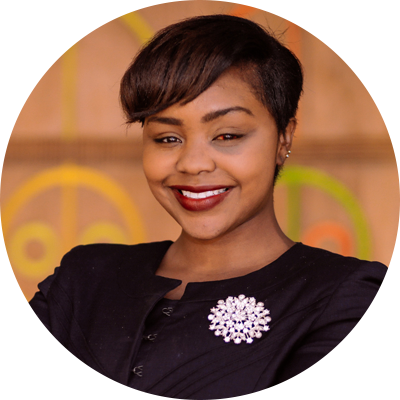 Her engagement in advocacy resulted in the implementation of the Nairobi Youth Advisory Board. She has been an online researcher volunteer with the UNDP for country updates on South Sudan and Libya. She has experience in training more than 1000 youth in local accountability with the scorecard method, and in youth focus groups to contribute to county planning. She is currently pursuing a Master in Gender and Development and serves as a Programme Officer at “Youth Agenda”. European and African interests are strongly intertwined when it comes to peace and security. Terrorism, violent extremism and transnational organised crimes, such as trafficking in human beings, as well as more traditional threats to peace and stability (intra-state conflicts, local conflicts over resources, electoral violence, armed robbery and piracy etc. ), all constitute symptoms of deeper structural instability and fragility. SDG16 is dedicated to the promotion of peaceful and inclusive societies for sustainable development. Imrana holds an MSc in Africa and International Development from the University of Edinburgh, UK. 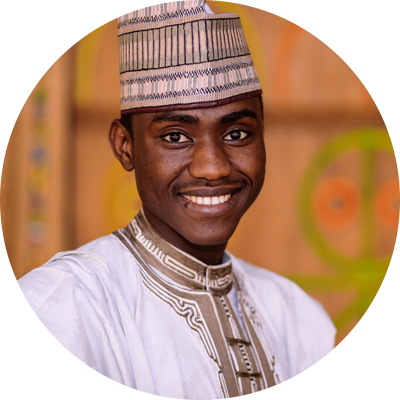 He is the founder and coordinator of the Youth Coalition Against Terrorism (YOCAT) for the past 7 years, which engages in youth-led peacebuilding activities in Nigeria. Through his association he managed to involve more than 600 multi-stakeholder volunteers, to reach out to 8000 students, to train more than 50 teachers and to partner with 10 enterprises for skills and jobs for 276 youth. He is a Generation Change Fellow of the US Institute of Peace (USIP), and he participated in the UN Counter-Terrorism Centre's expert meetings that conceptualized a handbook to assist victims of terrorism. 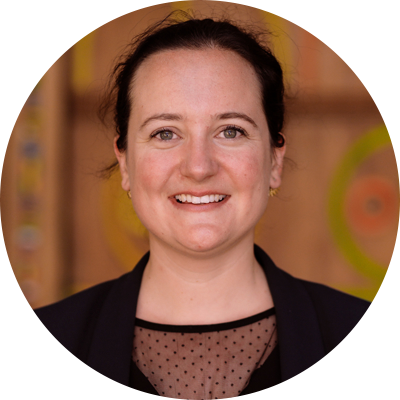 Julie Feremans holds a Master in Law from the University of Leuven and a MSc in Negotiation from IESEG School of Management Paris. She works as a project officer within the Security and Prevention department of the Belgian Ministry of the Interior, where she manages the EU-co-funded BOUNCE and Family Support projects on radicalization. She is also involved in working groups on violence against women and on organized crime. The UN Alliance of Civilizations selected her for their 2018 fellowship programme on fostering youth resilience to prevent violent extremism and build sustainable peace. 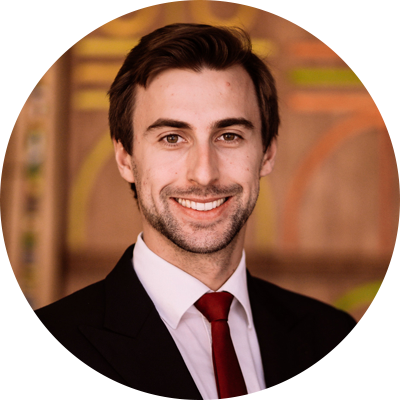 Etienne is a Franco-German citizen and holds a Master of Arts in International Relations and European Diplomacy from the College of Europe, completed with a Dissertation on EU-AU Relations for Development & Cooperation and Peace and Security. He also holds a Master in International and European Governance and a diploma from Sciences Po Lille, France with a special focus on conflict and development studies. He has a strong history of engaging youth, local partners and stakeholders in peace building through the organization “Interpeace”. He has contributed to draft the Report “Youth Speak Out!”, in favour of the participation of youth in peace and security processes in the Ivory Coast and the progress report of UNSCR 2250. 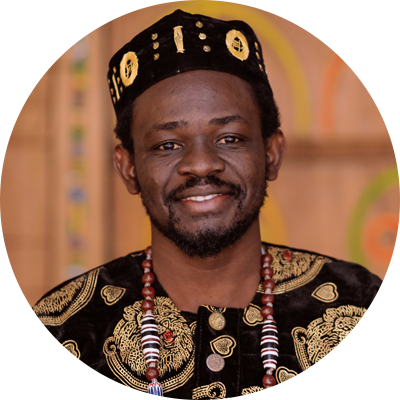 Oyewole is a Doctoral student at Bonn University, Germany. He holds an MSc Degree in Governance and Regional Integration and Forensic Science (Criminal Investigation). He has six years of expertise in governance, conflict prevention, migration and peace building. Oyewole is currently a researcher at the Center for Development Research (ZEF) in Bonn and was the Africa Director of the Organisation for World Peace in Canada, where he developed training, baseline studies and research on peace building, refugees/returnees, humanitarian crises, conflict, child soldiers and terrorism in Africa. Through his employment history he has engaged more than 1000 youth in peace building, conflict prevention and countering violent. 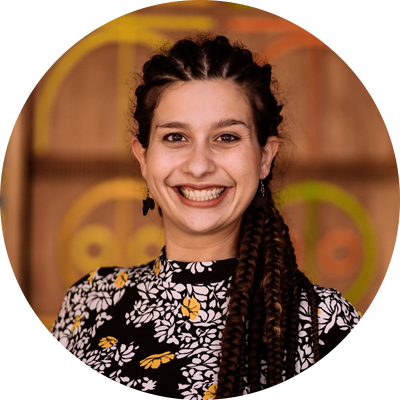 Half Italian and half Moroccan, Yasmine is a first generation university student in international relations at Sciences Po Bordeaux, in France, and a Youth, Peace and Security advocate at the European Youth Advocacy Team of the United Network of Young Peacebuilders. An award-winning fellow at Women Deliver Young Leaders, she advocates for the inclusion of migrants, particularly young women, in Europe and their empowerment as a strategy to counter violent extremism in all its forms. She wrote a research on the Role of Young Women in Peacebuilding Processes and she published an article on this topic in the Italian Intelligence Review. Recently, she was appointed at the Stakeholder Selection Committee for the UN General Assembly Nelson Mandela Peace Summit and the Youth Selection Committee for the UN Solutions Summit, where she was in charge of selecting speakers based on gender, age and regional balance. 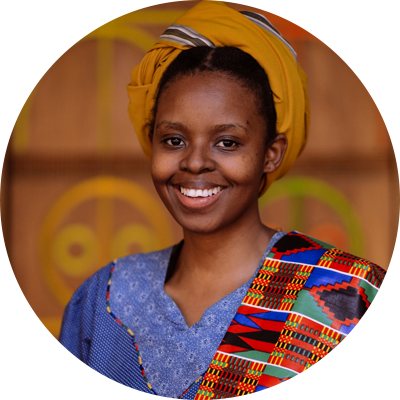 Sesame is a graduate of Political Science and Public Administration from the University of Botswana. She has worked on M&E for government and civil society organisations, where she was tasked with designing indicators, monitoring systems and data collection tools. Her expertise has developed around youth-led activities, campaigning for peace building and to counter violent extremism, awareness raising about UNSCR 2250 and women and girls empowerment (with emphasis on sexual and reproductive health and rights). She is the Country Coordinator of the Commonwealth Youth Peace Ambassadors' Network (CYPAN) in Botswana and a One Young World Peace Ambassador. Aryana recently worked at the United Nations Department of Peacekeeping Operations in New York, focusing on conflict prevention and peacekeeping transitions. 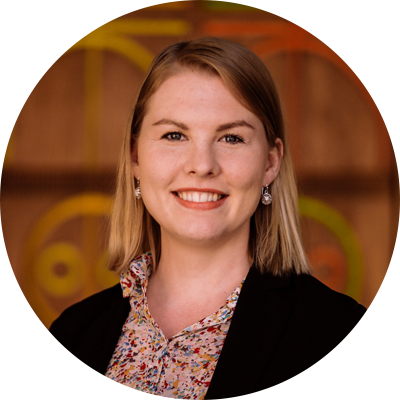 Previously, she was a trainee in the Crises and Fragility team at the OECD, where she analysed donor policies in crisis and post-crisis contexts. She’s the founder of “Imagined Borders”, an online advocacy platform covering migration, forced displacement and statelessness. 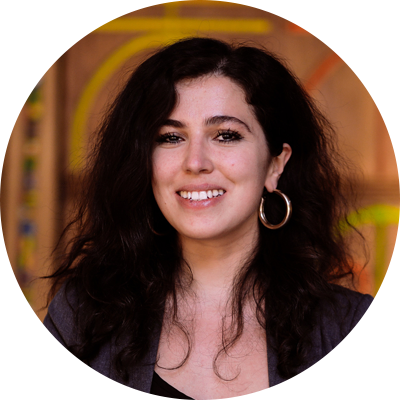 Born in Iran, she holds a Master of Research in International Relations from Université Paris I Panthéon-Sorbonne, where she specialised in political sociology and the social dynamics of civil wars. Selection of 42 African and European youth to take part in the Hub. Introduction of cluster team members and start of initial research and virtual meetings. First Hub Session: a 10-day workshop with the AU & the EU to define the scope of pilot projects. Workshop supported by GiZ. Presentation of the AU-EU Youth Cooperation Hub at the Paris Peace Forum.